Nintendo posted their financial results for the fiscal year ending in March 2018 and while we all know the Switch is a big success and such, the report had some interesting information about their mobile efforts. As of now, the core mobile focus for Nintendo is in Animal Crossing: Pocket Camp (Free), Fire Emblem Heroes (Free), and Super Mario Run (Free). They also have invested into Cygames and are working on a new game. We already know that both Fire Emblem Heroes and Animal Crossing: Pocket Camp have been successful for Nintendo but the financial report has given us some interesting figures and plans for how Nintendo will expand on these offerings going forward. Animal Crossing: Pocket Camp has a majority of its playerbase as adult women. Nintendo will be adding more content going forward as expected and host weekly events. As of now there is no mention of expanding the regional availability on iOS and Android. For Fire Emblem Heroes, they expanded the regional availability adding Singapore, Taiwan, Hong Kong, and more in November. 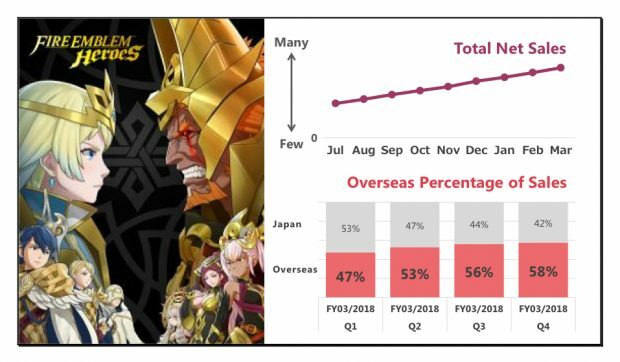 Nintendo says the sales share for in game items in Fire Emblem Heroes is growing steadily outside Japan depsite the series being very popular within Japan. In fact the last quarter saw Japan only have 42% share for sales in game versus 58% for the rest of the world. It has also seen a continuous growth with no slowdown since launch which is quite a feat. 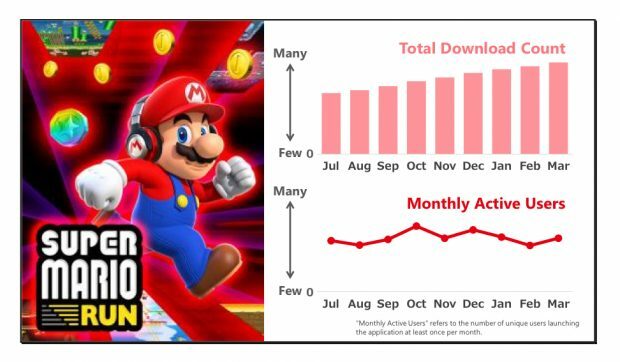 On the other side of the pond, Super Mario Run has a monthly active playerbase of 20 million users. This is pretty crazy but Nintendo now considers this an evergreen mobile title and they look at it as a way to expand the reach of Nintendo IP across the globe. Looking into the future, Mario Kart Tour which is a mobile game based on Mario Kart is still scheduled to release before March 2019. Nintendo still believes they have not reached a satisfactory profit point and are looking into expanding everything further to have mobile games and apps be a core part of their revenue. Out of all the games they’ve released, which ones are your favourite? Let us know if you still play any of them regularly and what you’d like fixed or changed in the comments below.